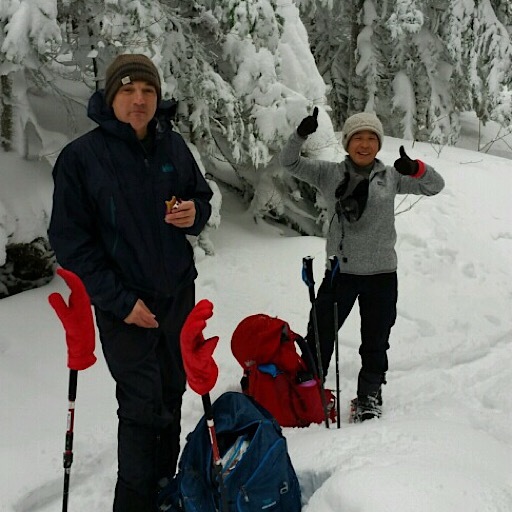 A cool and interesting company, Ridj-it — a Boston carpool platform that helps connect adventurers for events like hiking with businesses such as ours — hired us for some training and adventure. 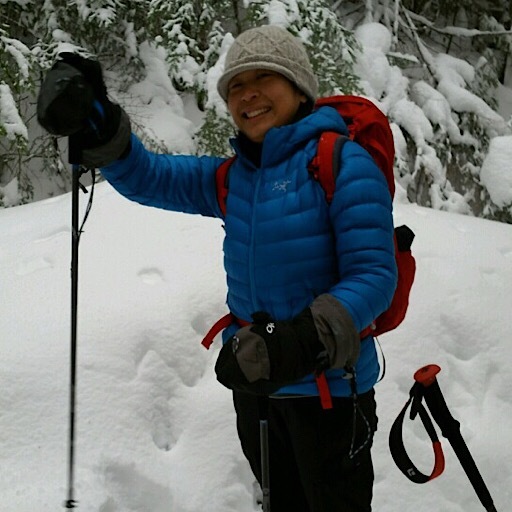 Specifically we provided a day of winter skills and mountaineering training (along with another guest) followed by a hike. Originally on tap was an attempt on the 6288-foot Mt Washington — the tallest mountain in the northeast and home of the world’s worst weather — but that worst weather bit made itself known and the plan was changed. 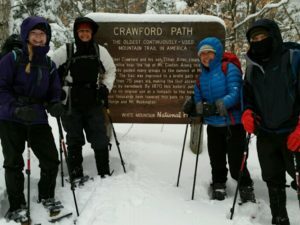 It snowed throughout the training day and into the night, then on hike day, as forecast, the snow changed to first sleet, then freezing rain. Nasty stuff and particularly difficult to hike in thanks to the inevitable overheating that will follow (this is caused by covering up to protect ourselves from the elements while excerting ourselves at the same time). 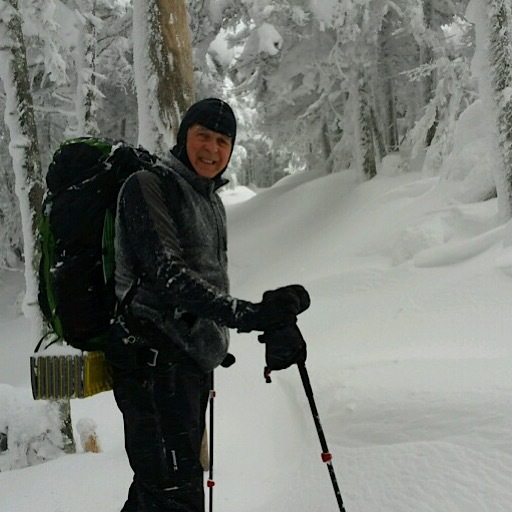 There are no tougher conditions to hike in. The team of four participants, lead on day two by Redline Guide Jeffrey Shutak (Mike Cherim taught the classes on day one), decided with Jeff’s input to forego the attempt on Washington and focus instead on a lesser mountain, but one that would more likely involve a successful summit while still offering our guests some alpine exposure. With input from everyone Jeffrey wisely decided on the 4312-foot Mt Pierce with the possibility of extending the hike out-and-back to Mt Eisenhower at 4760-feet if the others were “feeling it” and it was safe to do so. For those who don’t know, both of these “4000-footer” mountains live on the southern half of the Presidential Range, the latter providing stunning 360-degree views on clear days. 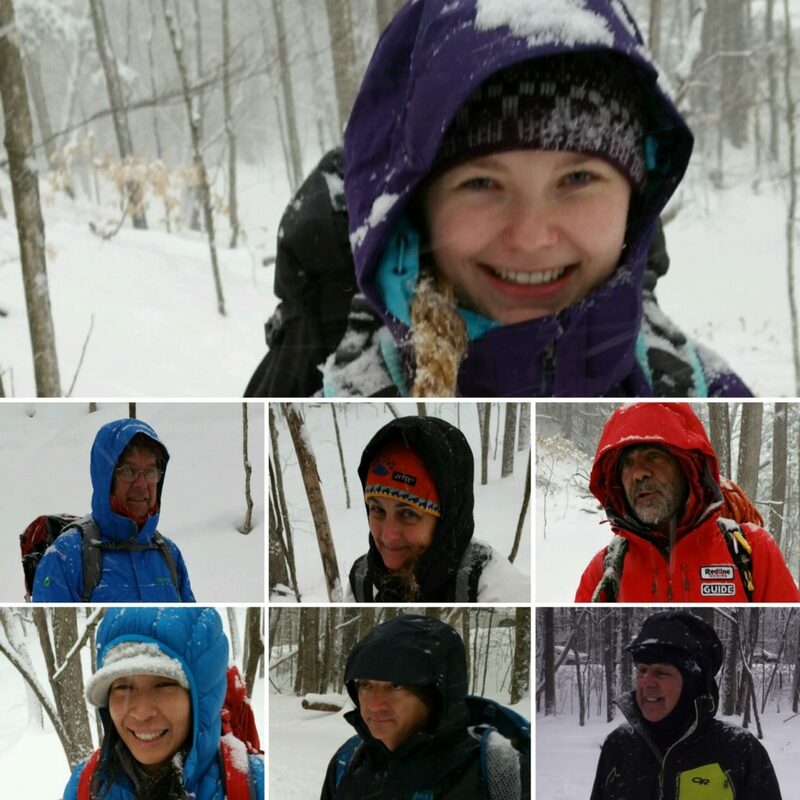 As it turned out, the weather was pretty nasty, our team summiting mountain number one in a mix of conditions ranging from rain to snow, high winds, blowing ice, and more. Really nasty stuff and difficult to remain smiling in. 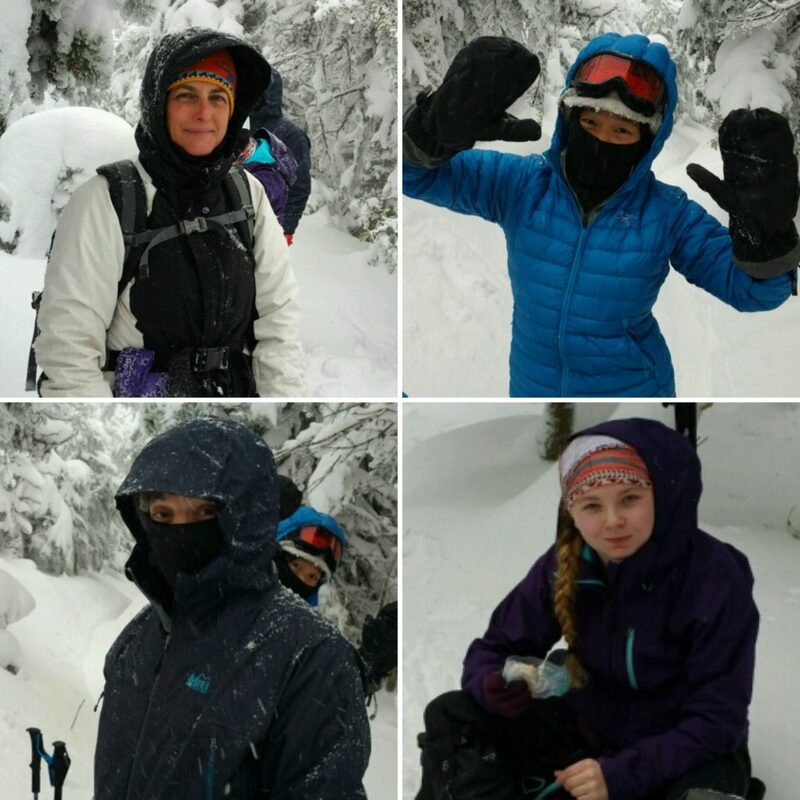 That said, the team had a day of valuable training and they were able to better manage themselves, their layers, and their gear (our triad of systems) as a result bettering their safety and comfort. 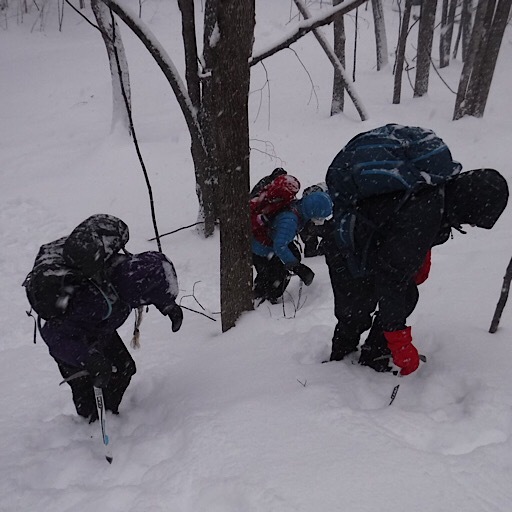 That said, though, once they got up there and had a taste of that crazy mountain weather, despite their well-being, the team opted out of attempting summit two and retreated back down the mountain. Can’t say we really blame them. For George Washington they will return. What follows are some photos of their training and tour, at least the parts we were involved in. Training day begins indoors, courtesy of the Eagle Mountain House in Jackson, NH. After a few hours of prep, we take it outdoors. It’s been snowing all morning. Coming down, and a lot more. Happy faces on training day. Guide Jeffrey, lower right. 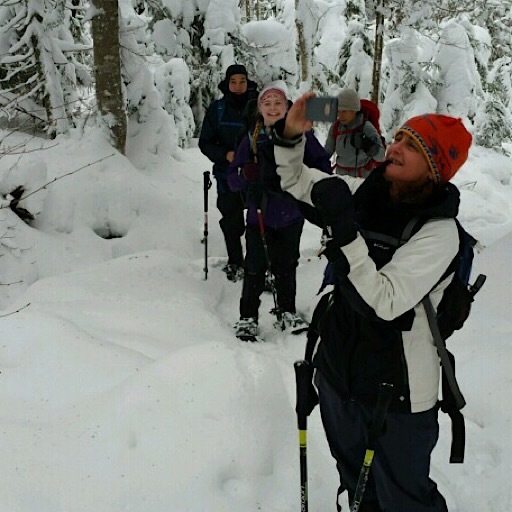 Starting out on the historic Crawford Path, all smiles (this aspect will continue, unchanged). Scenes on the way up. Making great progress through this winter wonderland. Guide Jeffrey Shutak. Needs more red! Break time. Hey, put those gloves in your jacket! Lots to see and photograph. 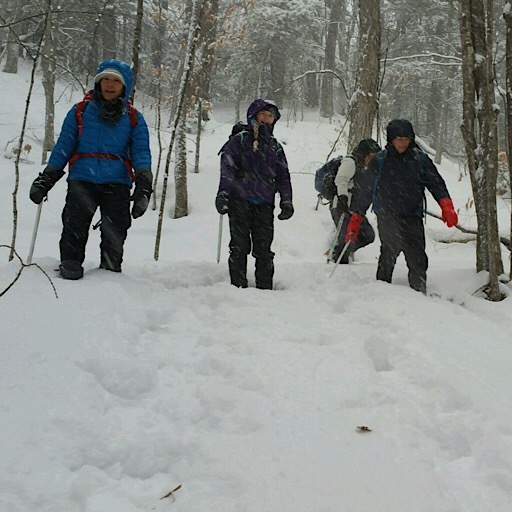 Summit conditions were rough but they loved the experience. The time to celebrate is only after you return. Great job, team. Congratulations to one and all on a successful tour! Well done!